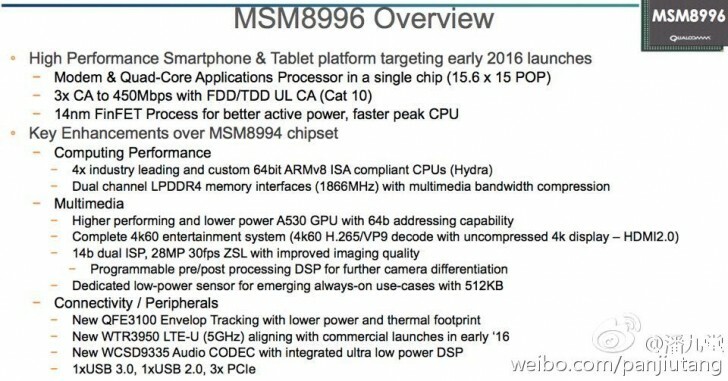 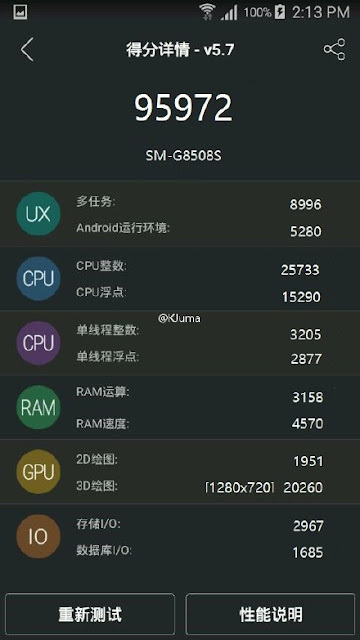 Home / Benchmark / News / smartphones / Galaxy Alpha 4G TD-LTE SM-G8508S benchmark leaks with whooping 96,000 Points AnTuTu ? 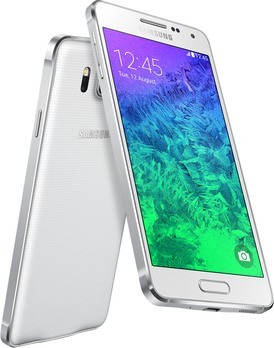 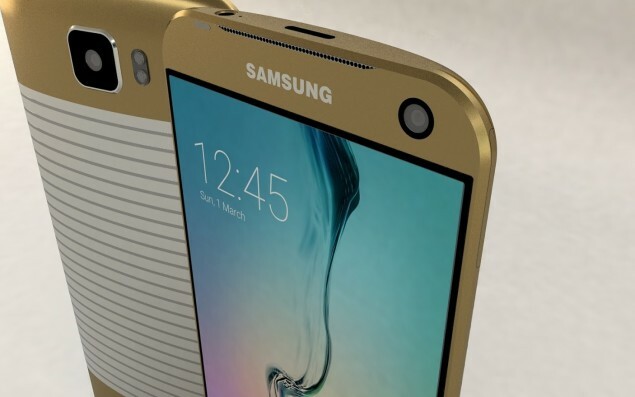 Galaxy Alpha 4G TD-LTE SM-G8508S benchmark leaks with whooping 96,000 Points AnTuTu ? 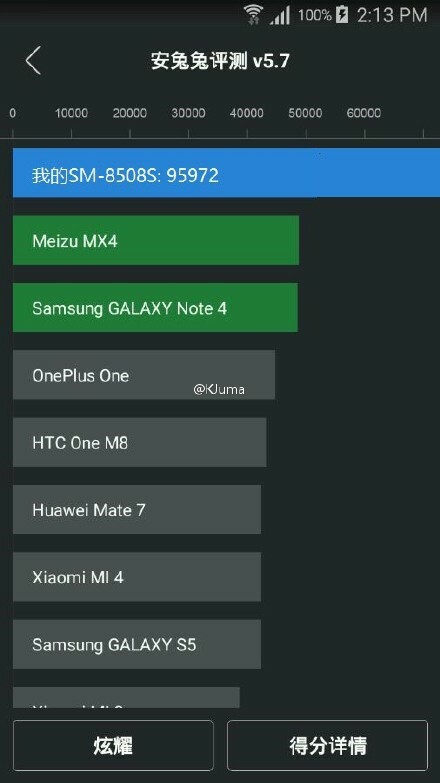 Update: The SM-G8508S reference refer to the Galaxy Alpha 4G TD-LTE, so the precedent leaked info about the Galaxy S7 is totally false, the New Galaxy Alpha will features 8-core @ 1800 MHz with an ARM Cortex-A15 and an ARM Cortex-A7 for low power uses, 2GB of RAM and minimum of 25GB of storage. After the appearance of a 85,000 score few days ago as supposed to be the next gen of LG's smartphone, here is a leaks showing more 11,000 points with a whooping 96,000 points under AnTuTu benchmark app. The closest supposition is going to be the next Galaxy Alpha 4G TD-LTE, this 96,000 score is far away from Note 5 or Galaxy S6 edge+, and it might be equipped with a 2.6Ghz CPU clock speed inside something like cortex A6x.